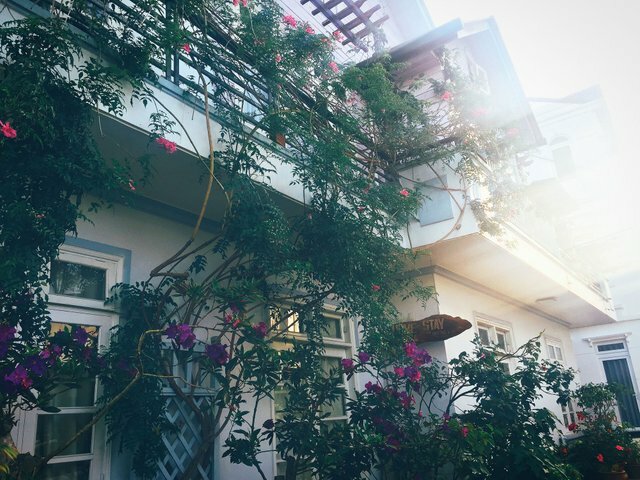 Da Lat - A dreamy city in my heart! Da Lat is situated in a beautiful mountainous region in the South of Vietnam, where nature puts on a spectacular display. It has a moderate climate and a fascinating landscape of hills. With gentle beauty, mild climate, Da Lat has become a dating place for couples, but it is also an ideal stop for anyone who wants to leave the hustle and bustle city behind and look for new experiences in the mountainous city. Before coming here, I imagined in my mind about Da Lat, it would be Da Lat of flowers, of pines, of a fairly cold, and of hospitality. There are so many names that people have used to call Da Lat: Flowers City, Land of love, Misty City, Dreamy city, ... Nature and people of Da Lat have become an endless inspiration for literature, poetry, art,... But no matter how we try to describe it, you will only be able to get the real feeling until you set foot on this city your own. I visited Da Lat in the middle of September. People care about when is the best time to visit a place. But with Da Lat, it doesn't matter. 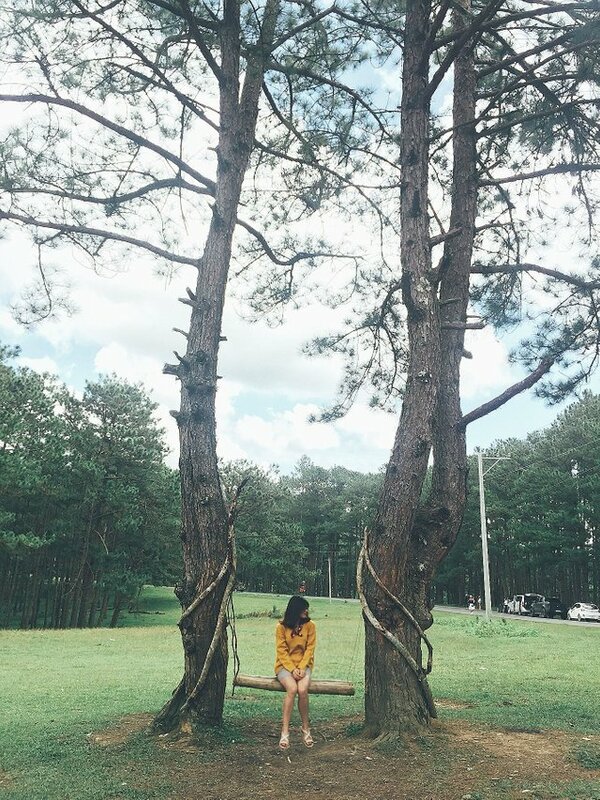 Da Lat is always gorgeous and adorable all the time, all 4 seasons. People said that September was not good time to come here, since it's already turned to rain season. But I still found out its beauty even though the weather wasn't favorable at all. Setting foot on Da Lat in early morning after 7 hours on the sleeping bus. 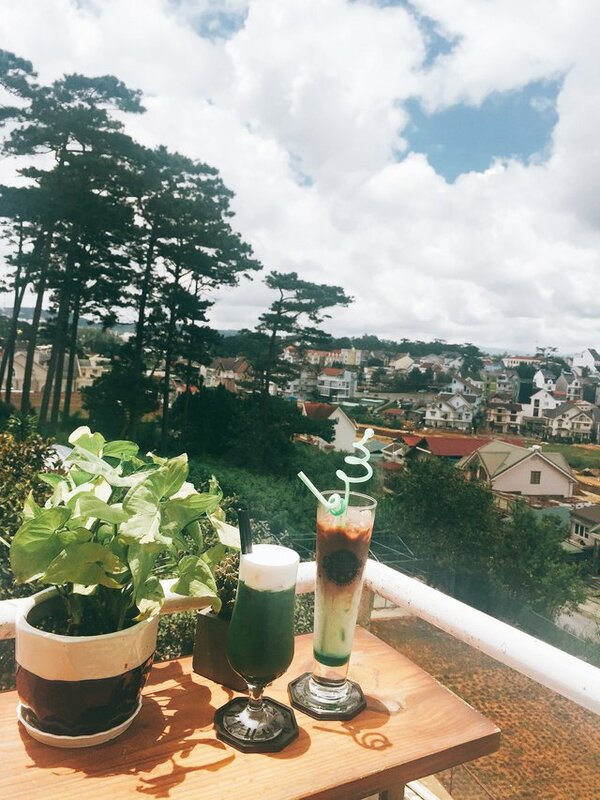 What's better than being able to run away from the heat of Saigon to peaceful Da Lat. The nice weather of Dalat is a gift, Southern people who have never known the northern winter can feel a little bit of it in Da Lat. Little cold foggy in the morning, sunny in the noon and when it has just fall to afternoon, it will start to rain, then turn to little cold and dry again in the evening. I feel all 4 seasons in just one day in this beautiful city. In the little cold weather like this, people tend to seek the warmth and move closer to each other. Maybe that is the reason Da Lat become a wonderful vacation destination, an ideal dating place for lovers. Nature has bestowed on Da Lat the beauty of dreamland, romance and sweetness. I spent two days to explore this city as much as I can. But it seemed impossible since this city is full of attractions. Every place in this city is so lovely and attractive. As my friend said, you need to visit Da Lat 10 times at least to be able to know all about this city. 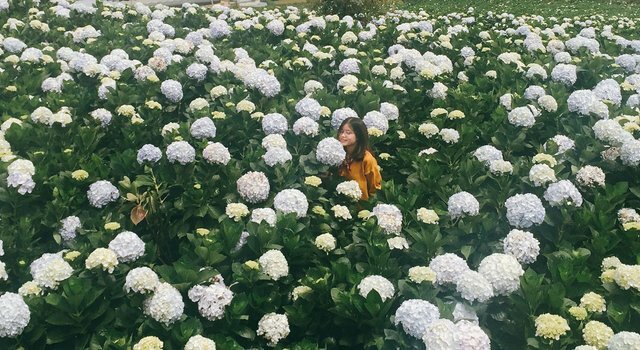 Most of attractions here is for lovebirds: Love Valley, Xuan Huong Lake, Langbiang, Chicken Church, Flowers,... Maybe that is reason why Da Lat is known as a city of romance. Love Valley: The name of the Valley of Love comes from the the French colonial period, when Da Lat was a rest city of French and Indochina Government, the French couples often come here to date in the weekends while admiring the poetic natural scenery. 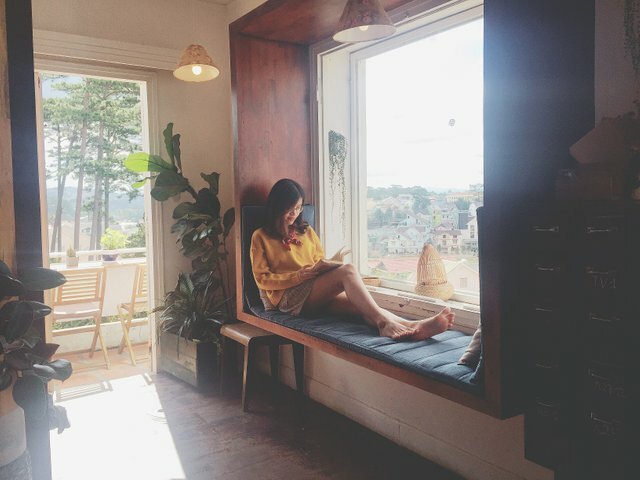 Until now, this place is still the favorite dating place that couples want to visit in Da Lat. 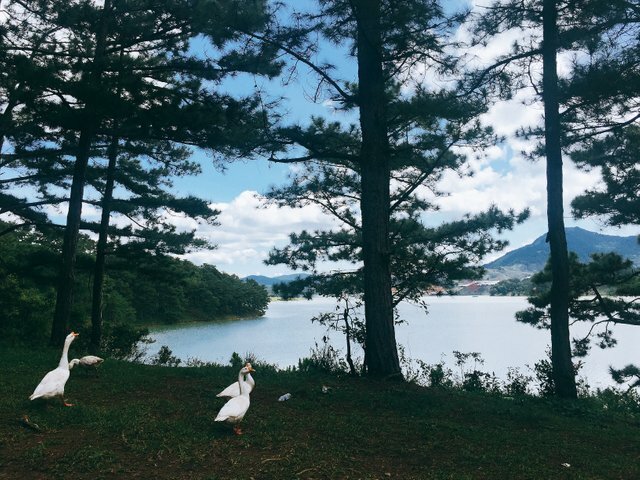 Xuan Huong Lake: The lake is considered as the heart of Dalat city, located in the center of area, making Dalat more poetic and romantic. 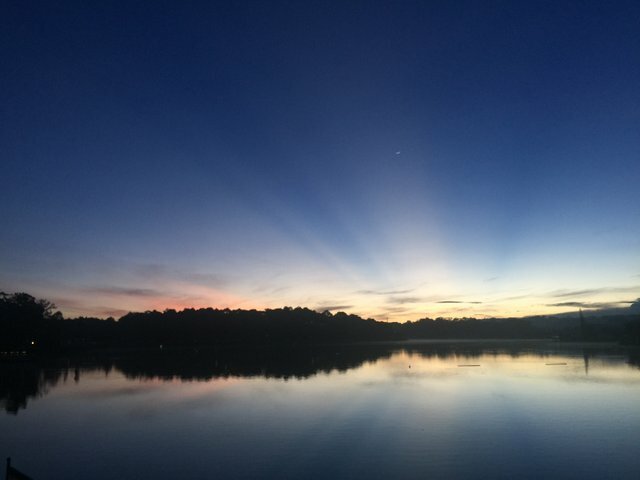 Tourists who come to Da Lat like to walk around the lake in the early morning, enjoy the airy atmosphere, feel the fairly coldness and sip a cup of coffee while watching the stunning sunrise on the lake. Langbiang: Lang Biang Plateau - (a.k.a Lam Vien Plateau) is the soul of Dalat city. Langbiang - are two compound names from the story of K'lang and H'biang according to the legend of the K’Ho people. As one of the highest peaks in Da Lat, this is a place that regularly organizes tourist activities, exploring nature, or attracting tourists with adventurous pleasures, conquering the peak. This is the place that will bring extremely interesting experiences to couples. 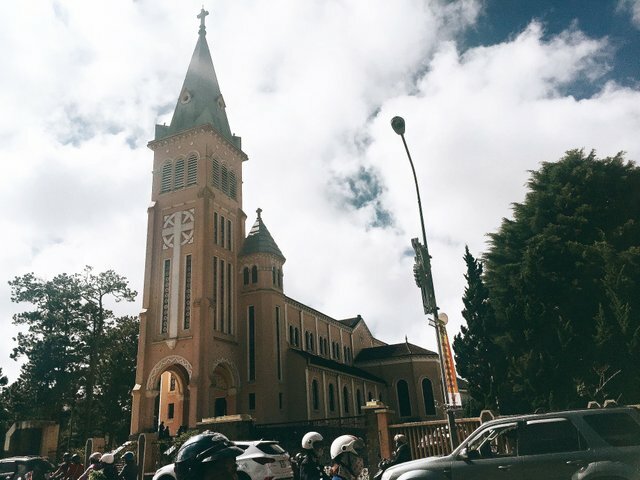 Chicken church: Dalat Cathedral (aka the Chicken Church) is a destination that attracts many tourists because of its ancient and deep look in the typical European architectural style. Da Lat Chicken Church is not only the largest church in Da Lat, important in terms of religion, the general architecture of Da Lat, but also one of the symbols tightly associated with this city of flowers. The symbol has both a feeling of peace but is very artistic and everyone loves it once they visit. Flowers: Da Lat is known as a City of Thousand Flowers. 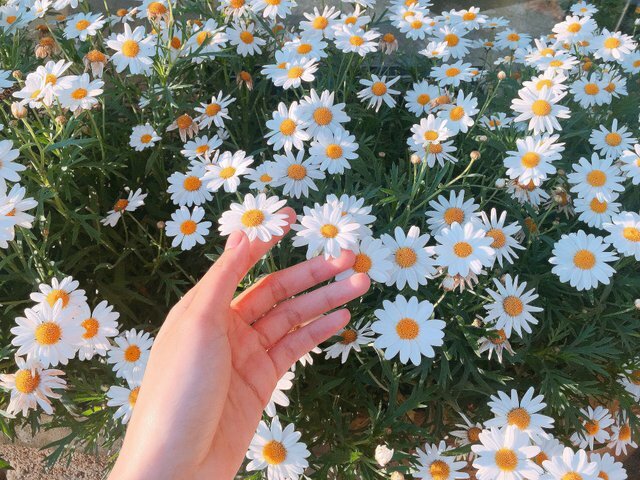 You can find flower in every nook and cranny of the city, from the park, street, to the vast field of flower. One of the things I liked most about Dalat was the pass roads. 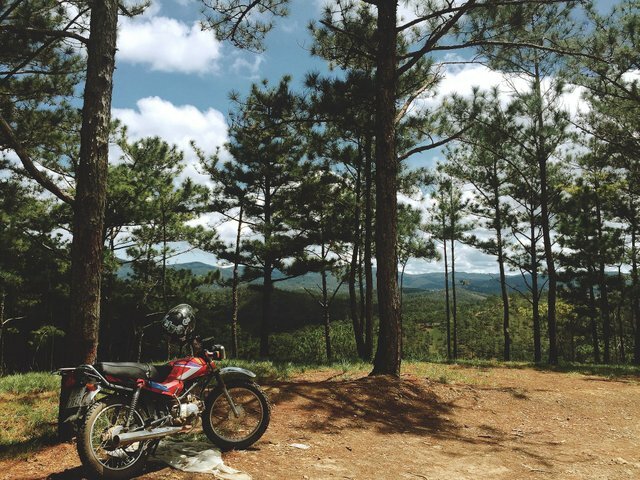 The Da Lat Pass road is enough to make people excited about every part of the steering wheel but it is enough for the girl to ride alone without loneliness and fear. Taking a bike, then following the twisty road, riding about 20 minutes up to the hill. When you have gone far enough from the city, you will go through pine-covered slopes and gradually go deeper into the peaceful place. Leave the bike on the hill slope, I walk through the forest and stop in front of river. Sitting down among the spindled pines and seeing the white geese walking around. From here, I could look out over the river and valley bellow, and listen to the sound of nature. 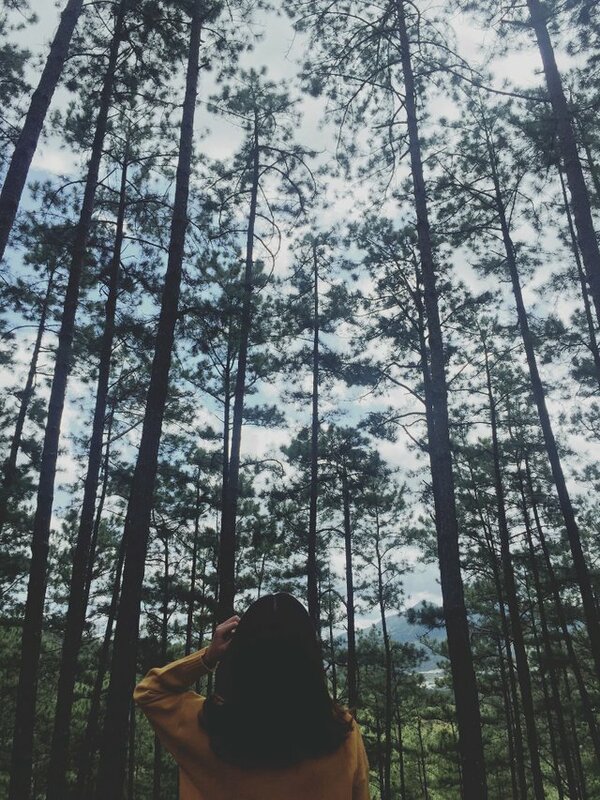 There are so many pines in Da Lat, it can be found anywhere. From the city, until the pass, in the school, on the top of Langbiang, next to the old station ... It seems a signature scene of Da Lat. It contributes to the beauty of Da Lat and make people remember more about this place. The pine hills make Da Lat become easier to be recognized thank to the scenes that only belong to this city. Despite being cut and mixed in numerous photos, just see the pine forests, people know that it is Da Lat and Dalat only. Whenever I visit a new place, I always look for its specialities, especially food. I want to know how local express their culture, their taste in the food they make. But Da Lat is really different. It doesn't have its own cuisine. 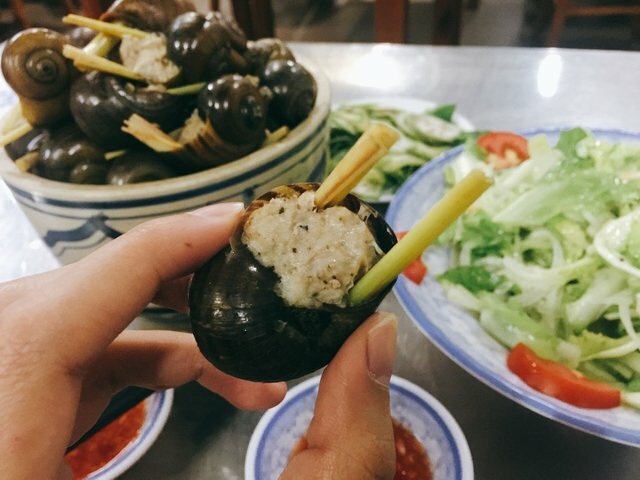 I was really surprised when searching for something to eat in Da Lat. 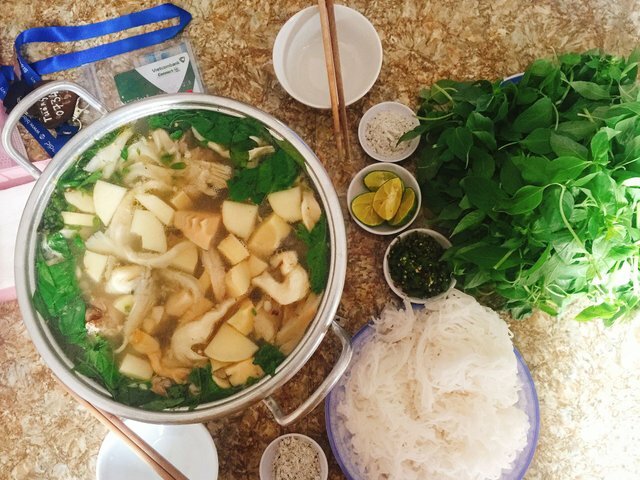 Every good and famous food in Da Lat is originally from other places. 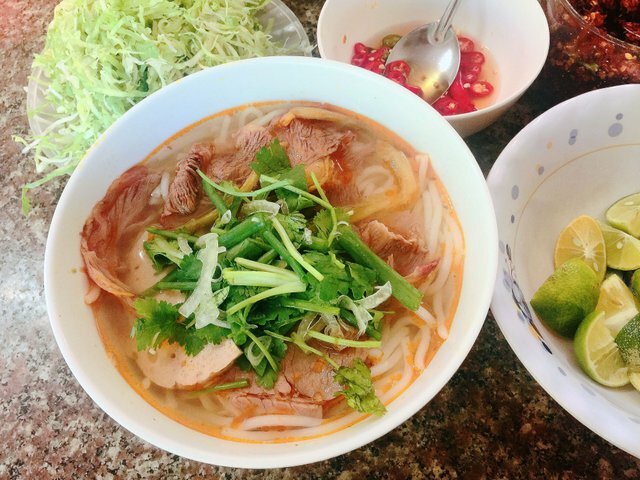 For example, chicken hotpot with herb is from Phu Yen, Beef noodles is from Hue, ... but it gradually turns to be Da Lat's. Your UA account score is currently 3.653 which ranks you at #5444 across all Steem accounts. Your rank has dropped 4 places in the last three days (old rank 5440). In our last Algorithmic Curation Round, consisting of 373 contributions, your post is ranked at #302. After reading just a few lines, it made me want to see this beautiful place. Your description truly make it seem attractive and interesting. Also, great photos. The one with your drinks, overlooking the roofs of the city, is excellent. It's good to see that you're doing more travelogue posts. When you "announced" that you were gonna focus on food posts, I was a bit disappointed, as I did not want you to "waste" your writing talent. Looking forward to more of your posts .... travelogues or restaurant reviews or whatever. Keep writing!